“Your blood sugar is high and you’re borderline diabetic. You should try to lose some weight.” These are the words you hear from your doctor at your last visit. You leave with so many questions. Why are my blood sugars high? How did this happen? What am I at risk for? In what way does this affect my health? Is it reversible? How do I lose weight? Does this mean diabetes is inevitable? If these questions overwhelm you, you are not alone. According to the Centers for Disease Control and Prevention, 86 million Americans over the age of 20 are living with Prediabetes, also known as borderline diabetes. Chances are either you or someone in your life has prediabetes, whether you know it or not. 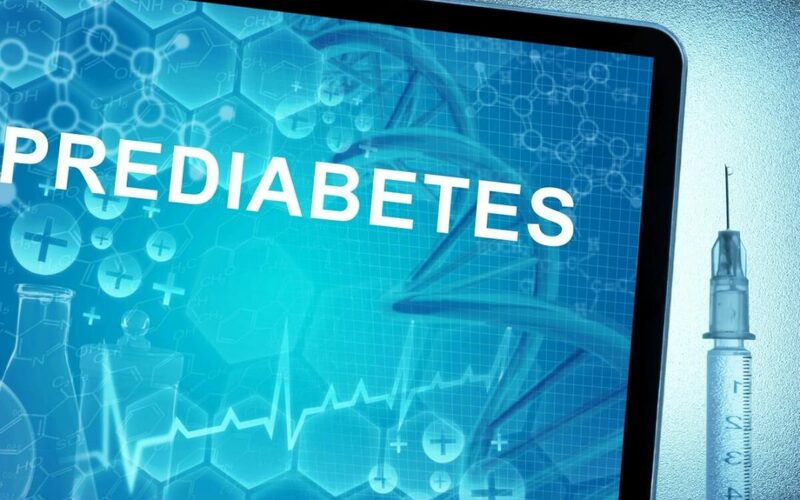 This is because about 90% of people with prediabetes are undiagnosed. That’s over 77 million people! One in every 3 Americans is likely to have borderline diabetes. Unfortunately, many of these people miss the wake up call and only learn they have a blood sugar problem when symptoms begin to appear and their condition progressed to full-blown diabetes. It is estimated that 15 to 30 percent of those with prediabetes who do not lose weight or become physically active will develop diabetes within 5 years. Diabetes is a beast of a disease which, when uncontrolled, doubles the risk of heart attack and stroke, can cause kidney failure, vision problems, and lower limb amputation. The good news is, just because someone is diagnosed with prediabetes doesn’t mean a diabetes diagnosis awaits them in the future. Those with prediabetes have the opportunity to make lifestyle changes and cut their risk of developing diabetes by up to 58%. Yes, prediabetes can be reversible with the right dietary and lifestyle changes. So if you have found out you have prediabetes, consider yourself fortunate that you have been given a warning and have the chance to correct the situation before it advances. But before we learn how to correct the situation let’s discuss what prediabetes is, how it develops, how it affects your body, and how to catch it before a diabetes diagnosis. Prediabetes is a condition where your blood sugars are consistently high but not high enough to be considered type 2 diabetes. A fasting blood glucose test will show blood glucose levels between 100 to 125 mg/dl. Prediabetes puts you at risk for developing type 2 diabetes and cardiovascular disease. Your body digests carbohydrates and eventually breaks them down into glucose. Glucose is the simplest form of sugar and is your body’s preferred source of energy. In order for your body to utilize glucose it needs to enter your cells. Insulin, a hormone, is the “key” that allows glucose to enter the cells and get converted to energy so your body can function properly. When your cells start to become resistant to insulin then glucose can’t get into your cells and remains in your blood circulation causing your blood sugar levels to rise. Insulin resistance occurs when your cells lose sensitivity to insulin’s “instructions” and therefore do not respond to it and do not allow glucose in. When your cells become resistant to insulin your pancreas compensates by producing even more insulin. Prediabetics usually have too much insulin production. Common factors that may contribute to insulin resistance include: being overweight or obese, chronic stress, steroid medication use over a long period of time, sedentary lifestyle, polycystic ovarian disease, processed foods and a high sugar diet. Other than the risk of developing type 2 diabetes, having prediabetes carries an increased risk of cardiovascular disease and stroke regardless of if it progresses diabetes. Until you do a blood test to check your blood sugar you likely won’t know as prediabetes tends to be silent with no symptoms. However, you are at risk if you are overweight or obese, have family history of type 2 diabetes, have had gestational diabetes, or are over 45 years of age. Make sure to get an annual check up by your doctor and request a blood test for your glucose and hemoglobin A1c. These are not standard routine blood tests so you will have to ask for them. Your hemoglobin A1c measures the average amount of circulating blood glucose for the past 3 months. Hemoglobin A1c values between 5.7% and 6.4% indicate prediabetes. A fasting blood glucose between 100-125 mg/dL would be another indicator. How can I prevent diabetes from developing? Making healthy lifestyle and dietary changes are the first line of defense for improving your blood sugar. According to the American Diabetes Association, research has shown these two guidelines can be effective in reversing prediabetes: losing approximately 7% of your body weight if you are overweight or obese (e.g. 14 pound weight loss for a 200 pound individual) and getting 150 minutes of physical activity per week (5 days a week for 30 minutes). Sounds simple enough but you may be feeling overwhelmed and asking yourself: How do I lose the weight? How do I implement these changes? What do I eat? What if I don’t have time to go to the gym? Reduce consumption of highly processed foods and refined sugars. Don’t skip meals. Skipping meals will result in unbalanced blood sugar levels. Eat snacks. Snacks will help keep your blood sugar stable throughout the day. Include protein and fat with your meals and snacks as it decreases the rate at which sugar is absorbed and will help keep your blood sugar stable. Get a FitBit wristband to track your steps (you can easily find one on Amazon.com). Aim for 10,000 steps a day which is equivalent to 5 miles. Do workouts that are available online such as Popsugar Fitness on Youtube. You get to stay in the comfort of your own home and it’s free. Get support. Taking a brisk walk or a bike ride with a friend makes working out fun and keeps you motivated! Creating healthy habits and maintaining a healthy lifestyle requires education, time, and guidance. Most importantly, coming up with a plan that is individualized to you, your lifestyle, and your food preference is vital for success. A Registered Dietitian or a Certified Diabetes Educator can work with you to set a plan that is catered to your needs and provide support and guidance to help you implement these lifesyle and dietary changes. You can live a healthy and happy life despite a prediabetes diagnosis by making small (but steady) dietary changes and working on creating healthy habits that will last…. one step at a time.